Lambing season was over so quickly that I hardly had time to share photos. These photos were taken less than a month ago at the last Spinners Day Out but it seems like ages ago since the last ewe lambed a week ago. This was the first ewe to lamb. It’s one of the Pope Valley “rescue” sheep with two ewe lambs. 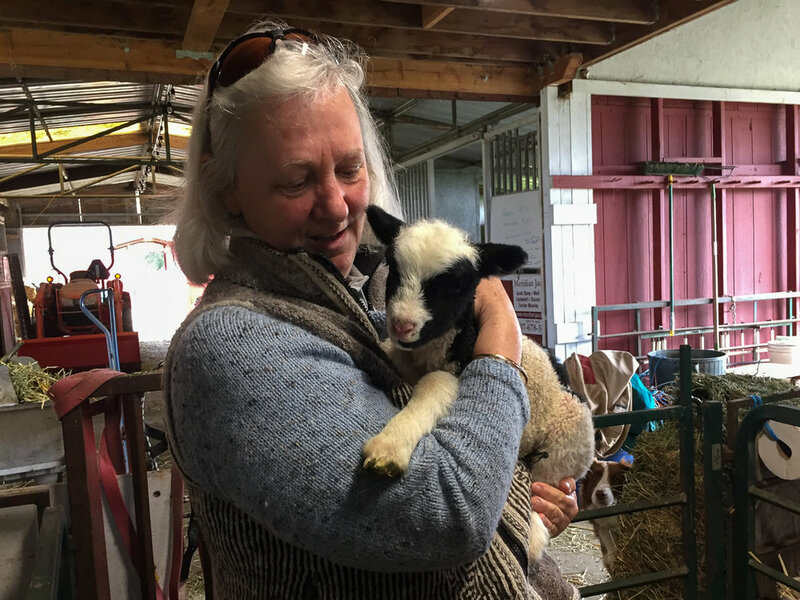 Spinners spent some time in the barn cuddling lambs before settling in the shop to spin. I think it’s great if the lambs can get some handling because it helps to make them tame down more quickly later on. 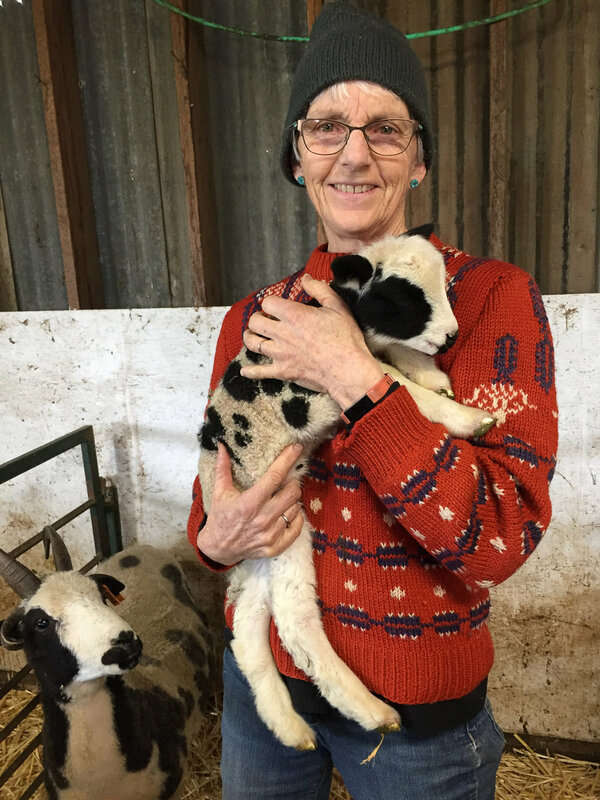 By the third day of lambing there were plenty of lambs for everyone to cuddle. This is one of the first lilac lambs born. The significance of this photo is less the lamb and more the sweater. My mom made that sweater and I wore it in college (and maybe high school?) I found it the other day, fixed the worn out cuffs, and now I can get more years of wear out of it. Back in the shop I got out a pair of fingerless mittens that I had never finished because I got stuck at the thumbs. I asked if anyone would be willing to finish them for me and Mary took up the challenge! I love them!